It would not be surprising to Tony King if the collection of QSL cards on this page are regarded as rare for they were printed mainly as short-run special event QSL cards on his letterpress printing machines in Wellington. Tony took up an interest in handset craft printing as a hobby in his teens and today still shares his spare time between DX listening and setting type and printing in the traditional letterpress way from his home in Greytown. 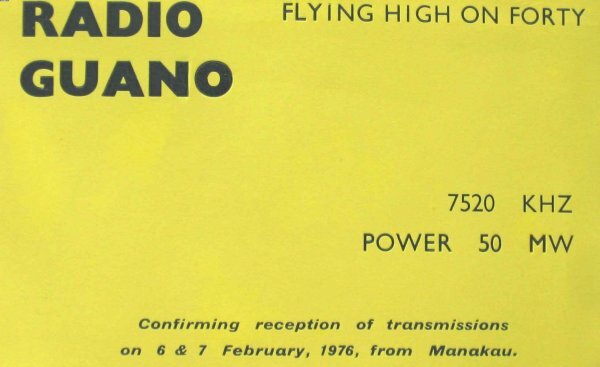 The first QSL cards issued by Radio Windy (890 kHz) were designed and printed on Tony’s machines, and in the first month Tony also supplied the station with daily tapes of the BBC news for its fledgling news service. The Printing Museum at the Historic Village in Tauranga drew Tony to Tauranga regularly and he became associated with 1XT Village Radio (1368 kHz) assisting with their Telethon appeals and in 1988 he catalogued the record library of more than 25000 tracks onto computer spreadsheets for the stations request programmes. He also printed the QSL card and station stickers. A large DLE sized QSL card for 2AY Albury, New South Wales (1490 kHz) was issued to mark the visit of the first DXcursion to Australia in March 1975 by 20 DXers and friends. 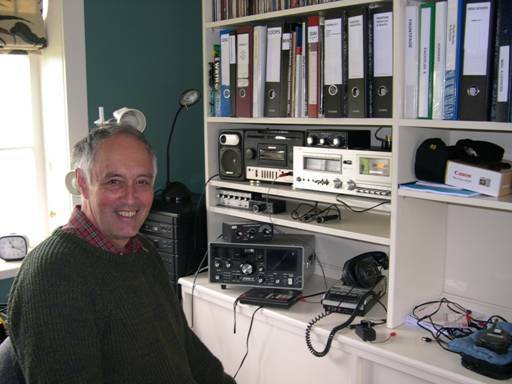 2AY hosted a function at the station and a special DX call was made to New Zealand listeners during the evening. How many claimed this QSL card? 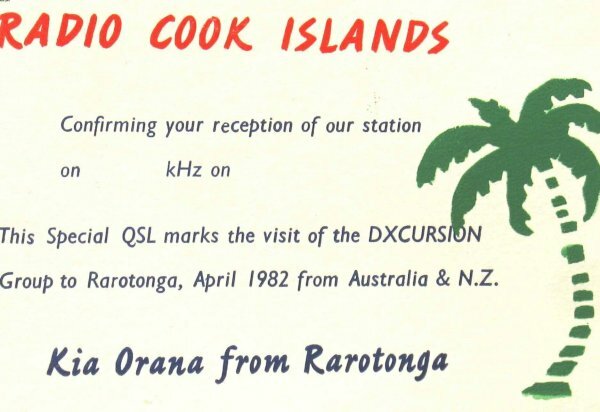 In April 1982 another DXcursion headed for Rarotonga in the Cook Islands – and there were special QSL cards for that occasion too. The station also ran an early morning test transmission for the benefit of DX listeners. 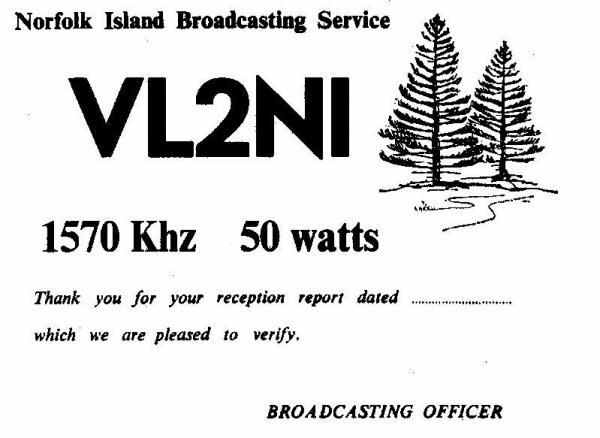 VL2NI was offered QSL cards and the long time Broadcasting Officer was delighted with the result, and a number of New Zealand DXers no doubt have one in their collection. 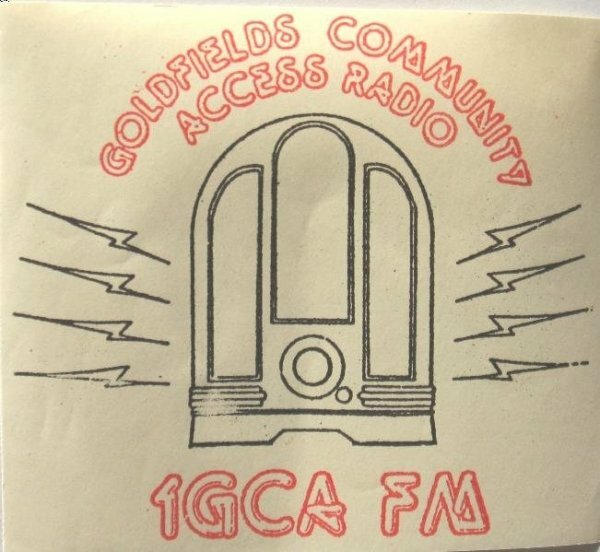 One of Tony’s QSL’s featured in a 1977 WRHB feature on Clandestine Radio. 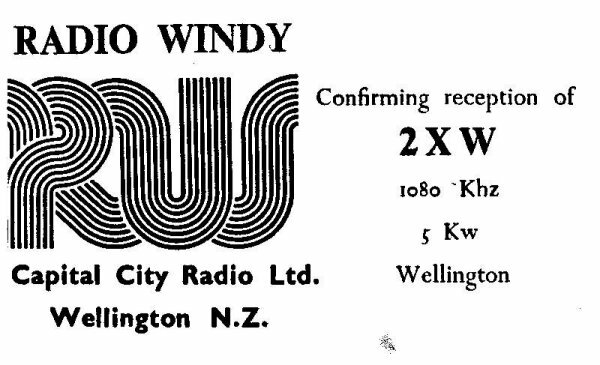 This was for Radio Guano which mysteriously appeared on 7520 kHz during the NZRDXL Convention in Manakau, just north of Wellington on the evening of 6 February 1976. Hawaiian music, and Pacific accented announcements expressing gratitude to the U.S. Peace Corp for the loan of recordings galvanized the evening….until DX sleuths detected the transmitter in a car at the convention location ! Everyone earned their QSL card! 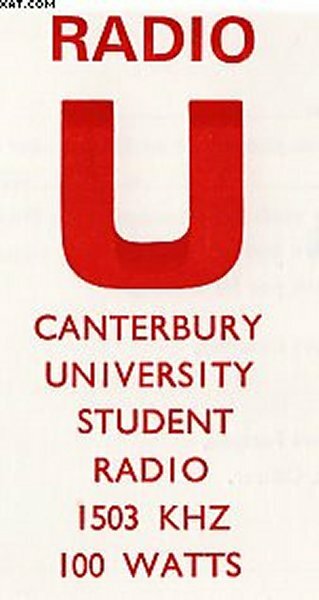 QSL’s for short term stations also came off Tony’s presses – Radio U one of the early student radio stations in Christchurch, and a station sticker for Goldfield Community Access Radio in Northland. Hi. What happened to the Radio Guano QSL? The bird has flown and disappeared from the card. Faded into obscurity no doubt. Fortunately the bird has not flown from my Radio Guano QSL. Cheers. Deno.